It’s the Tuesday before Christmas and you know what that means? It’s the day when book bloggers across the internet share the wishlists we’ve mailed up to the North Pole! I’ve worked extra hard to make the Nice List this year and the wait is over! Drum roll please…..
Pictures of this beauty have been flooding my instagram/twitter feeds and I simply need it in my life! The way it was put together with pages typed out to look like transcripts and emails, etc is brilliant! This was one of the best books I read in 2015 and it hurts my heart a little that I don’t own a physical copy! I’ve heard such great things about this book and have started to hear the audiobook twice, but my ADD hasn’t allowed me to fully enjoy it. I’m convinced that if I sat down with this book in hand, I would fully emerge myself and tune out the world. I already own Pawn and Queen (books 1 and 3) and plan to marathon the series as soon as I own Captive! The covers in this series are truly stunning! Ruby Red and Emerald Green make beautiful eye-candy on my bookshelf, but are missing their companion! Now that the final book in the series has been released, Santa can get me the set!! These covers are beautiful and I’ve heard great things about the series. Kudos to author Aimee Kaufman for making my list TWICE! I have heard endless reviewers raving about how amazing this series is and I will continue to stand strong and put it off til 2017 when the final book is released. However, I can still have these beauties patiently waiting on my shelf! Can’t I? This is another series I have put off for long enough! 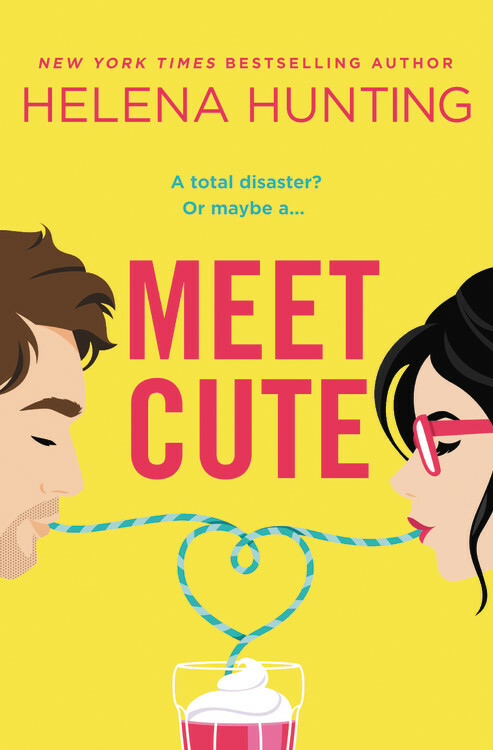 The final book will be released this coming April and I can’t wait to meet my next book boyfriend! I’ve heard there are several to choose from. 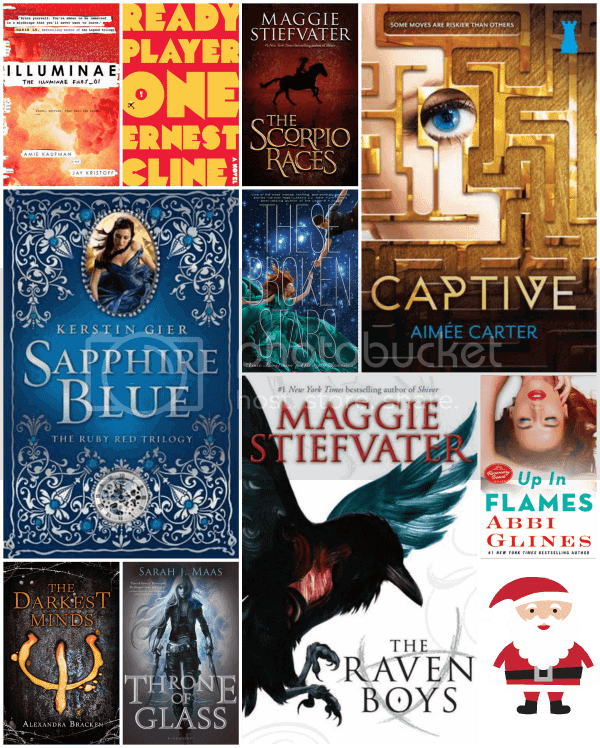 ;) Also, kudos to Maggie Stiefvater for making my list twice! Last, but certainly not least, I’m really keeping my fingers crossed that Santa and his elves can come through for me! I know Up in Flames won’t even be released until June, yes JUNE, of 2016, but Santa is magical and I’m sure he can pay Abbi a visit and explain the circumstances. So many people went crazy when Glines put out that the final book of her Rosemary Beach series would follow Nan, but I, for one, am too excited to wait another 6 months!!! Nice! I still need to start the Ruby Red trilogy! I have Scorpio Races in my TBR mountain somewhere too! Hope Santa brings you some if not all of these! Great list! Ready Player One and These Broken Stars are both on my TBR. I hope you find some of these under your Christmas tree! Nice list! I didn’t realize TOG series ended in 2017 – that’s too soon! It’s been SO hard to not cave in and read them! Awesome list Rubi! I accidently saw one of me gifts and was super excited that it was Dream Thieves, book 2 in the Raven Cycle! Eeek, that is an awesome surprise!! Maggie Stiefvater is AMAZING! I love both The Scorpio Races and The Raven Cycle. And I also really liked These Broken Stars. Thanks, Quinn! Trying to get on the Nice List was a struggle. Lol I have yet to read any of her books, but my goal this year is to get her checked off my list in 2016! Throne of Glass is amazing! Your patience with it is really smart – currently suffering, waiting for Sarah J Maas to release more books in the series! Great list – I’d forgotten that so many of these books, like Ready Player One, were on my TBR list! Hope_you’ll stop by my TTT list! Throne of Glass was such a brilliant read, I mean wow! Oh yes, you should be happy to get a copy from The Raven Boys, I really love those books :) I have yet to read my copy from The scorpio races. Everyone always raves about it, so I can’t wait to pick it up next year. I hope Santa gives you Throne of glass, those books are amazing. Love the Scorpio Races and The Raven Boys, both are fantastic reads so I hope you can get to them soon! Illuminae! I hope you enjoy it! It’s such a beautiful book to own. I need to get all of the series you’ve mentioned (except Throne of Glass which I binge bought). I hope your Christmas is wonderful and filled with the books you hope for. I just bought Illuminae the other day and I am so excited to read it! I have heard great things about it. I bought Throne of Glass and have it on my Kindle. I need to read it very soon. Great list! Let me just encourage you to pick up THRONE OF GLASS immediately!! I kept hearing things about it, but I always worried it wouldn’t live up to the hype. I was instantly hooked and am now in the middle of book 3. I literally only started reading this series on December 31st. It’s addicted. It’s magical. The romantic interests are … unusually, amazingly awkward.